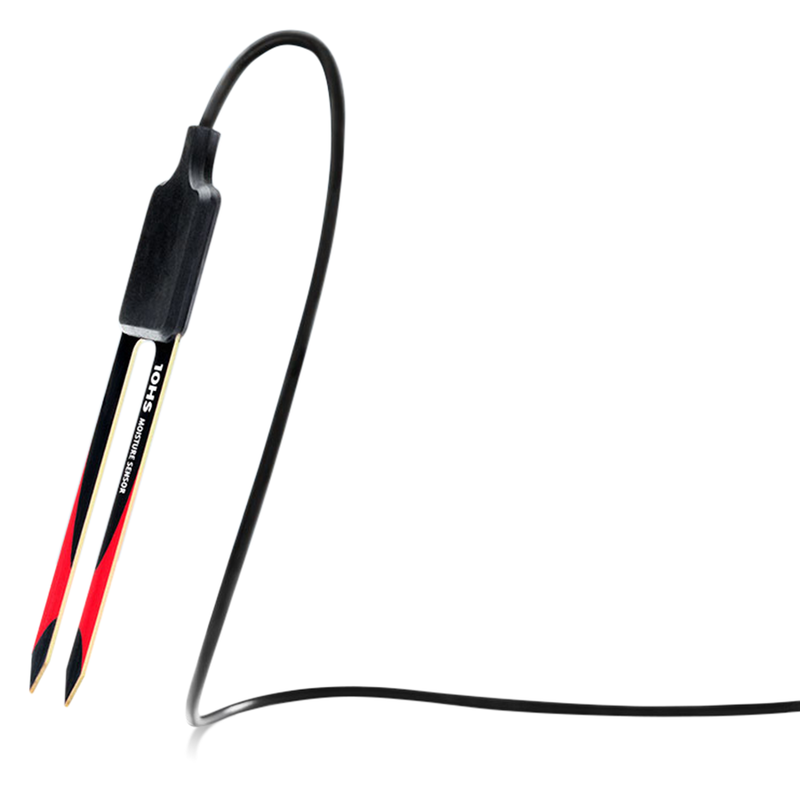 The 10HS soil moisture sensor has a larger volume of influence. Being 10 cm long, the 10HS measures 1 liter of soil. The 10HS determines volumetric water content (VWC) by measuring the dielectric constant of the soil using capacitance technology. Using a 70 MHz frequency minimizes salinity and textural effects, making the 10HS accurate in most soils.